My book of original poetry incorporating Scripture is available to anyone interested. 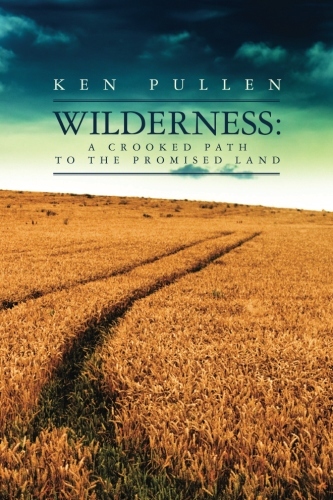 Just can click on this link; WILDERNESS:A CROOKED PATH TO THE PROMISED LAND to order, or click on the “Store” button on the Home Page, or inquire about “Wilderness: A Crooked Path to the Promised Land” at any book retailer. 100% of all sales proceeds from the sale of the book are donated to charitable organizations and groups. Those can be found in the “LINKS” area on the Home Page. Amazon.com is the quickest and easiest way to purchase. My writing of poetry is what began first long before people I know began telling me to start a website, and the poetry will always remain an integral part of this website. It is due to my sending the poems I wrote to a brother and a sister in the faith of our Lord Jesus Christ that this website came about. Anyone wanting to read the poems posted on A Crooked Path can find them easily by clicking on the word “Poems” in the very top of the page black header. Please feel free to leave your comments regarding the poetry discovered here at the end of each poem you’ll find here.